As the season of Christmas approaches, you can see the shops fill with desperate and eager shoppers. So if you are planning to send any floral gifts this Christmas, we have got some tips that you might need on this Christmas. Flowers are a great gift to send to anyone on this Christmas as they would light up the face of your recipient. However, when considering floral gifts, roses come first in line. Rose gifts are the perfect ones to express your feelings through a gift. Roses bring a happy surprise to anyone who sees them after the delivery comes to their doorstep. Or else you can surprise your loved one by placing a stunning rose on the table as they wouldn’t be anyone nicer than having a lovely rose at the dinner table during this Christmas season. Floral gifts are the ideal gifts for your loved ones, friends and relations who live far away or for ones who have everything in their life. 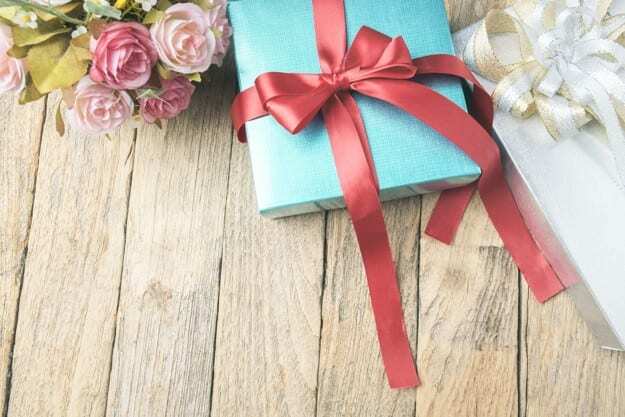 Whether you are planning to pick a rose gift by yourself or get a rose gift delivered to your loved ones, you need to find out a good company which offers excellent products to make it a special presentation to your recipient. However, various entities would like to offer your floral gift deliveries worldwide for just a little price. But you need to be careful when you choose the place where you are planning to get the floral gift as various online brokers don’t even know the difference between the two flowers. Even though there are various types of roses and outlets which offers many fresh roses, all these roses last for around three to five days. So why don’t you invest on a rose gift that would last with your loved ones for decades? Well, now you can get your loved ones a rose dipped in a precious metal which would make the rose look more elegant and expensive. However, there are hundreds of online stores which offer rose gifts, but most of these stores offer fake roses, or plastic roses dipped in precious metals. So when you are picking a gift for the Christmas, make sure that you get a fresh rose dipped in precious metal. Out of various online stores, Infinity rose is loved by all its customers due to the quality and beautiful roses they offer. Infinity rose is an Australian based store which offers a range of rose gifts appropriate for all your special occasions in life. So when considering about the Christmas, Infinity rose has a collection of rose gift packs which accompany with lovely teddy bears and a box of chocolates. They offer fresh roses dipped in pure gold, silver or platinum. As you may know, fresh roses are a favorite gift during the season of Christmas, and that is nothing new. Infinity rose offer both fresh and precious roses which comes to the hands of our customers after a lengthy process of electroplating. Each of these rose carefully handpicked at their right stage of blossom, and after that, they go through a long process of precious coating metals for about two to three months. Finally, a stunning rose comes out of the process which is long lasting and elegant. Unlike any other rose gifts, Infinity rose are incredibly versatile, and you can send for any reason. Here we have got a few reasons to select a lovely rose delivery this Christmas to pamper your loved one or your close friend. According to the language of roses, each of these rose has a significant meaning. For example, the red roses relate to love and affection. The color of the roses gives a precise meaning. A stunning red rose dipped in pure gold would be great for your lover on this Christmas whereas a blue or a yellow rose would be perfect for your best friend. In case, if you are looking for a gift to show your gratitude and love to your mom, you can stick with a green rose dipped in pure gold. Whether you are planning to send a rose gift for someone who is at work or home, you can make sure that these lovely rose gifts would brighten up their house or the office area. These rose gifts can transform any of those space into an elegant place by adding more life and beauty. So why don’t you gift an adorable rose from Infinity rose to make your loved one feel amazing on this upcoming Christmas? You might have seen that most of the people start sneezing when they receive certain flowers. But when it comes to a rose from Infinity, you need not worry about any allergies. So these roses would be an excellent choice for a person who is facing specific allergies from flowers. Your recipient would genuinely appreciate your concern about their allergies and this fantastic rose gift. When shopping for a gift for your special one, you need to set a budget or else you might end up breaking your bank balance. So considering this, Infinity rose as a range of rose products that would be appropriate for your budget. You can get a rose gift, a rose gift which comes in a display case, a rose gift pack, etc. however, shopping online is better as you can browse through various rose products while comparing the prices and finally you can make your choice. With all these reasons, it is not a wonder that rose gifts are number one gift for any particular person in your life during this Christmas season. No matter where you live in this world, sending a rose gift is the most convenient and the appropriate gift on this Christmas. However, Infinity rose would make your delivery on time with their quality and premium rose products. These beauties would genuinely touch the heart of your loved ones during this Christmas season. You can refer to Top 10 Christmas gifts for your girlfriend to get more gift ideas to celebrate the upcoming Christmas.